Taft bike racks at the front entrance near door 4 are going to be installed for any eagles biking to school when the warm weather comes again. The installation of new bike racks being placed around the premise of William Howard Taft High School will take place this November 2018. In the school morning bike racks on the Taft property have become overloaded forcing some students or faculty to lock their bikes onto other objects on campus. Bikes are being locked up on outdoor objects such as: trees, railings and light poles. Students requested new bike racks in front of the school due to the amount of Eagles biking to school and not being able to properly lock their bikes up. Programming Director, Marianne Villaseñor, was the faculty member to notice and take action against this Eagle issue by contacting the Chicago Department of Transportation (CDOT) for help. “Last year while walking outside during my lunch period, I noticed there were so many bikes locked to so many different structures around the school. They were locked to everything but the bike rakes because the bike racks were extremely overloaded. That’s when I reached out to CDOT to request more racks for our students and staff,” said Villaseñor. Thanks to the CDOT, Villaseñor did not have to ask administration to fund the new bike racks, but instead only had to put in a request for the bike racks. She figured out who wanted the bike racks and where by posting a bike rack request page on the Taft website for students and faculty. They had the option to comment on the request page and the comments reached up to 250 comments from students, making the bike rack installation being put at the top of Taft’s “to do” list. Villasenor’s plan was to put up as many bike racks as possible to give all Eagles the opportunity to bike to school without having to worry about chaining their bikes up to fences and street light poles due to the lack of room on the racks. Villaseñor plans to have 6 bike racks places by Bryn Mawr near the front entrance and by door 4 from the CDOT. 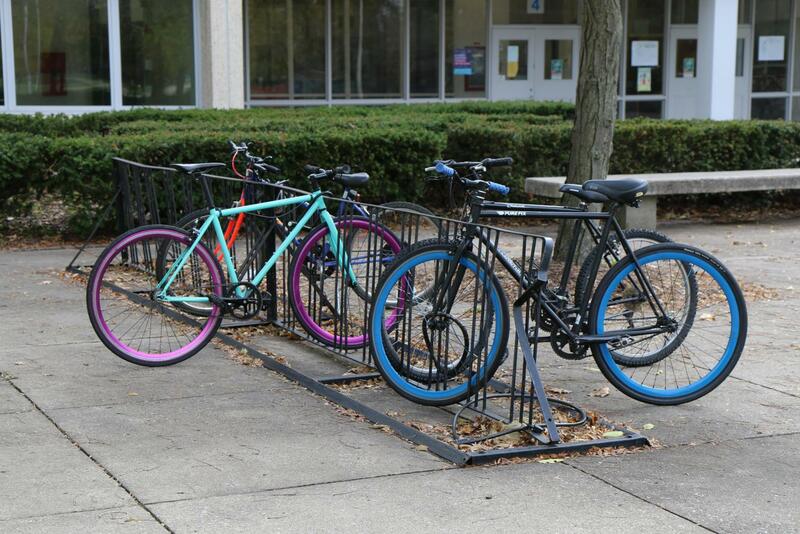 In the future, Villaseñor can add more bike racks to Taft campus if needed.